. يقدم Coolum at the Beach Resort خدمات لا غبار عليها وكل أشكال اللياقة وحسن الضيافة اللازمة لإسعاد ضيوفه. تتضمن الميزات الرئيسية في هذا الفندق: خدمة التنظيف يوميًا, مرافق مخصصة لذوي الاحتياجات الخاصة, تسجيل وصول/خروج سريع, تخزين الأمتعة, صف السيارات. تتضمن كل غرف النزلاء وسائل الراحة والتسلية المصممة خصيصاً لضمان الراحة القصوى للضيوف. يمكنك طلب اللائحة الكاملة للخدمات في الفندق ومن بينها مركز للياقة البدنية, مسار جولف - ضمن 3 كم, حمام سباحة خارجي, مسبح (للأطفال), حديقة. 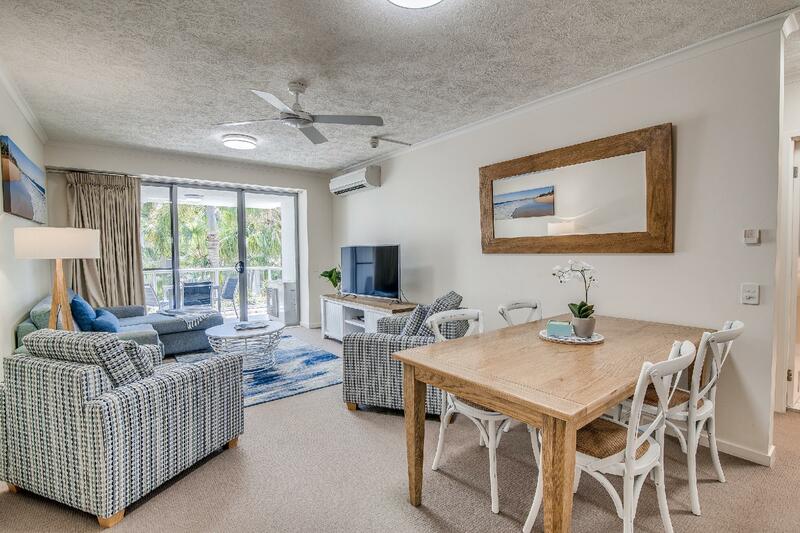 إن Coolum at the Beach Resort هو خيار ذكي بالنسبة للمسافرين إلى صن شاين كوست، بما يوفره من إقامة هادئة ومرحة. Lots of space and close to everything. The apartment design was good. 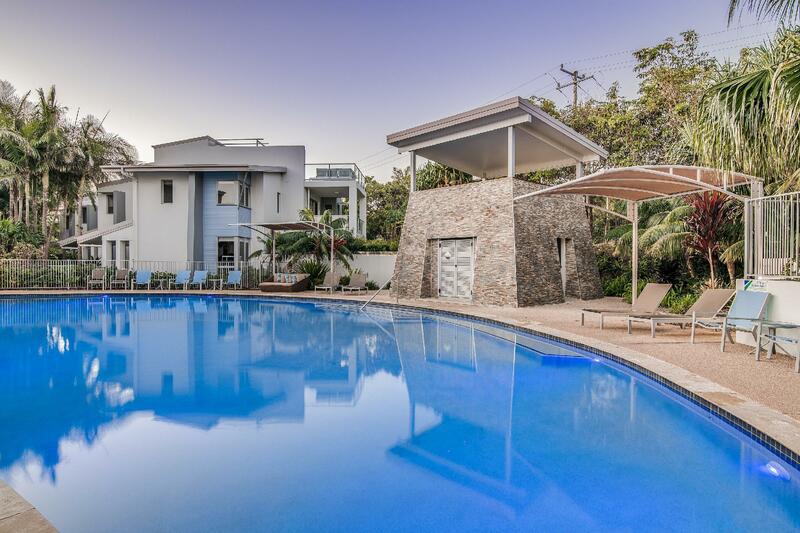 The location is excellent opposite the beach and near shops and restaurants in Coolum. There are 4 pools of various sizes. The gardens in the grounds are lovely. Just don't stay on the ground floor- would recommend staying on level 1 or 2. Great however place older than I thought it was for being only 4 years old? There were ants in the apartment. Limited selection at the kiosk. Bed a bit hard but generally a pleasant stay. Being school holidays, screaming kids in the pools was a bit much. Perhaps one of the pools could be kid free. Proximity to shops & great restaurants. Many pools to choose from. Close to beach. It was very comfortable & a great escape from hum drum of work. Proximity to the beach, proximity to shops, room size. We had a lovely stay here, not a huge choice of cable tv channels, but enough to keep us occupied. Room size was quite decent. Bed was 2 singles pushed together, after talking to reception they put another mattress topper on it for us. Internet a touch expensive. Good sized balcony, and free undercover secure parking. 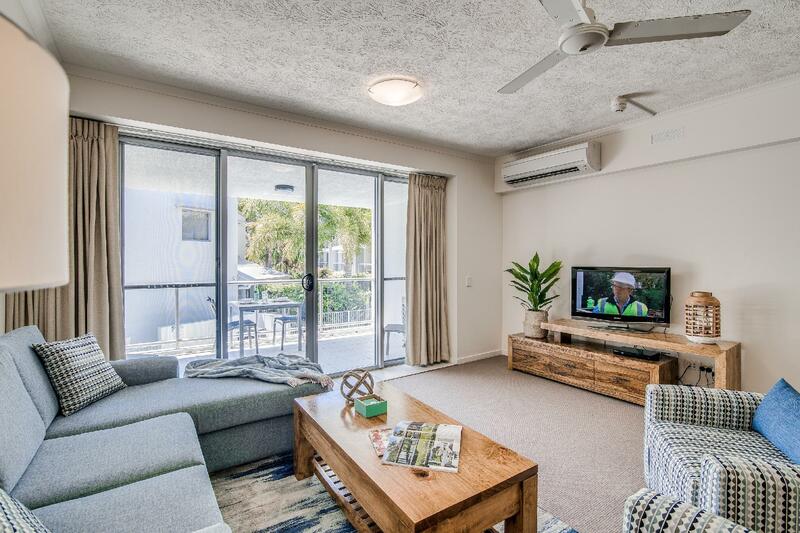 Full service apartment style hotel with friendly staff and located in short distance to the park and beach. Our stay is good and comfortable, friendly staff and cleanliness. Only one issue that needs to be improved is internet service. We had a thoroughly enjoyable holiday here - would have appreciated a more sunny aspect at this time of year, and would encourage hotel to improve their wifi service. Apart from that, it was a lovely place to stay and I would certainly recommend to others, and love to come back some time. Pools, close to restaurants, shops, beach. We had a ground floor apartment and it was dark and cramped. Found empty toy packaging etc in the cupboard above the fridge which had obviously left by a previous tenant, which we then had to remove as we didn't wish to be charged $65.00 for some one elses mess. I think it's unreasonable to be charged excess if all bins are not emptied on departure as this is a serviced apartment.I don't think this apartment is value for money, we have stayed at other similarly priced apartments which are larger , cleaner, brighter, with better views. location comfort proximity to shops/restaurants etc. after a very busy xmas/new year period we decided at the very last minute to slip away to the sunshine coast for a couple of days to "veg out". as it was peak season, there wasn't a great deal on offer that a) didn't cost the earth or b)required a minimum stay of 5 nts. coolum at the beach had everything we were looking for-and for a fantastic price!! as we were checking in after hours on the saturday afternoon, our apartment keys were made available for us in the safe deposit box beside the reception door. our 3 bdrm, 2 bathroom tropical apartment was located on the second floor. the apartment was very spacious, everything was exceptionally clean (especially the bathrooms)and modern, you could be either fully self-contained as all cooking items were provided (and coles supermarket is across the road) or you could walk down the street to a wide selection of cafes and coolum beach surf lifesavers club. the patios are also very large and it was a lovely place to sit to have lunch or an afternoon drink and enjoy the sea breeze. the kids really enjoyed the variety of pools (there's 4 of them! ), in addition to the gym, kids club and there's also a small kiosk beside the main pool, which sells drinks and ice-creams. 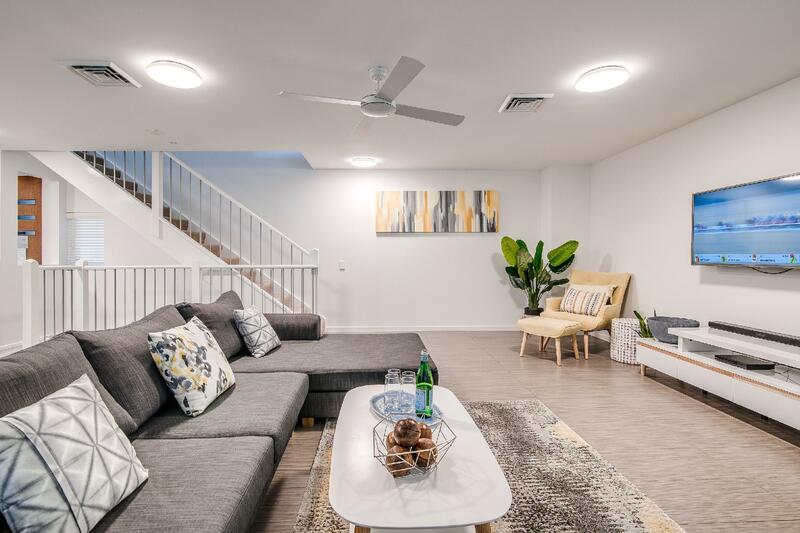 all in all, it was a wonderful stay and we would highly recommend coolum at the beach resort! 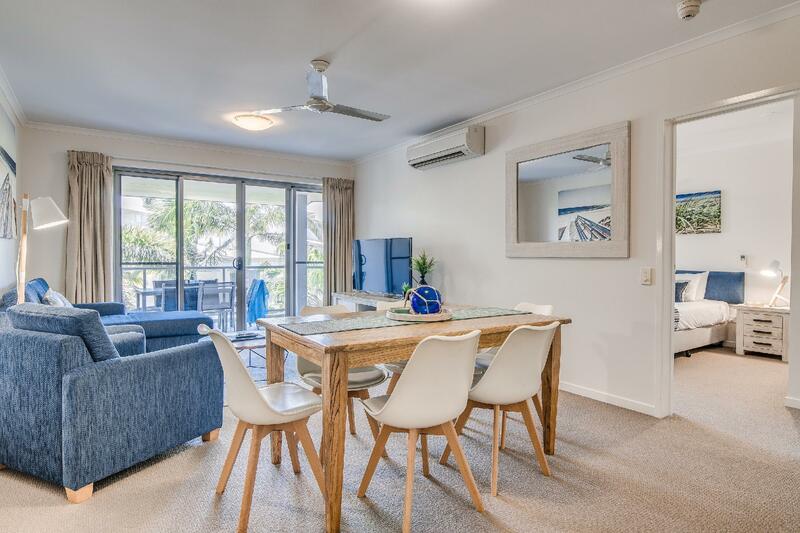 The resort is well situated in Coolum - 5 minute walk from the beach. It's a nice, new resort. The apartment was spacious (only 2 of us) and had all the facilities.